UAS senior Mollie Dwyer spent her summer hiking up mountains with a backpack of test tubes to collect water samples from different stream sources. Last year she had her hands full of kelp assisting with research on their reproductive process. In total Coeur Alaska has donated $124,000 to UAS and a total of $156,700 to the UA system since 2011. 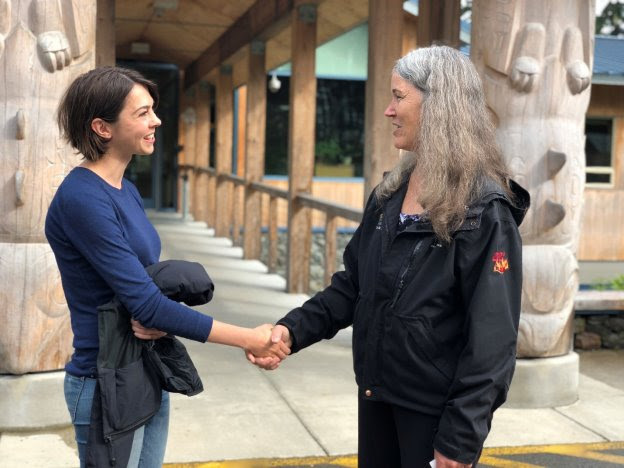 They have given $4,000 in a joint scholarship with HECLA and Southeast Conference and $32,700 to UAA for visiting professors of public policy. To find out more about the Alaska Coastal Rainforest Center and sign up for their newsletter visit their website. Find out more about the Juneau Forestry Sciences Laboratory, visit their website. To add your support for student scholarships and other program support, visit the UAS Development Office's website or contact them at (907) 796-6320.